The severe climate change known as the Little Ice Age (1600-1900) may be connected with severe drought in the American Southeast in the Carolinas and Virginia near that time. 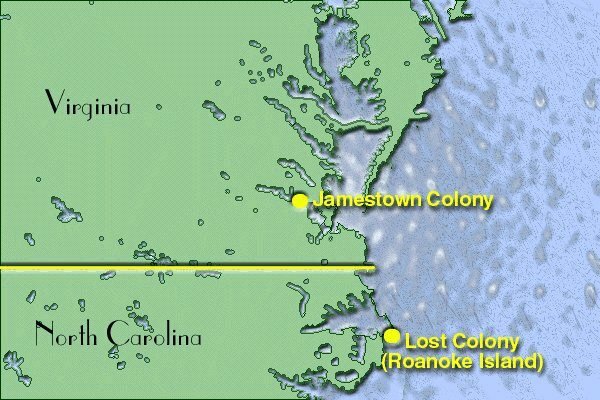 The Roanoke Colony on Roanoke Island in Dare County in present-day North Carolina. This was an enterprise financed and organized by Sir Walter Raleigh in the late 16th century. The goal to establish a permanent English settlement in the Virginia Colony. Between 1585 and 1587, several groups attempted to establish a colony, but they either abandoned the settlement or disappeared entirely. The final group of colonists disappeared after three years elapsed without supplies from the Kingdom of England. This was during the Anglo-Spanish War, leading to the continuing mystery known as "The Lost Colony". The Lost Colony and Jamestown Droughts by Stahle, David W., Cleaveland, Malcolm K., Blanton, Dennis B., Therrell, Matthew D., and Gay, David A. A drought reconstruction, stretching back to 1185, indicates that the most severe growing season drought and the most severe three year period of drought in 800 years. This coincided with the disappearance of the Roanoke Island Colonists. In addition, a reconstruction of the severe seven year drought (1606-1612) in Jamestown, accounted from documented historical records. This likely played a part in the high death rate in the colony. Only 38 of the original 104 colonists survived the first year (1607) at Jamestown. Of the 6000 people that came to the settlement between the years of 1608-1624, only 3400 survived. Most reportedly died of malnutrition. 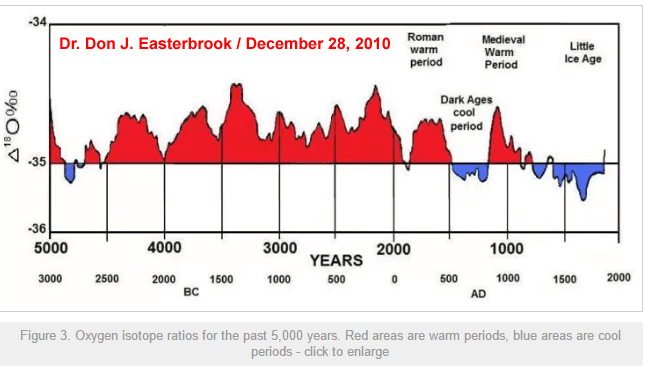 The last 1000 years has been the coldest in the last 10,000 years. A study of whale fossils reveals the arctic has been open 3 times in the last 10,000 years. Click the above for a larger picture. Note the severe temperature drop ~1600. Even in 2018 global temperatures have not returned to the temperature normal at the time of Alexander the Great, when it was far warmer than today.